The 1993 MOMA Exhibition was a huge success with visitors and critics. Visitors were able to view the handcrafted camera-ready boards (maquettes) from which John Heartfield’s photomontages were produced. It’s incredible to see the paint and pencil work painstakingly added with the artist’s hand. Even the Heartfield’s precise detailed instructions to the rotogravure masters are fascinating. They clearly display Heartfield’s obsessive pursuit of his vision for the final piece. John Heartfield’s originals are works of art as much as the images created from them. They offer details that are simply not visible in any of their reproductions. 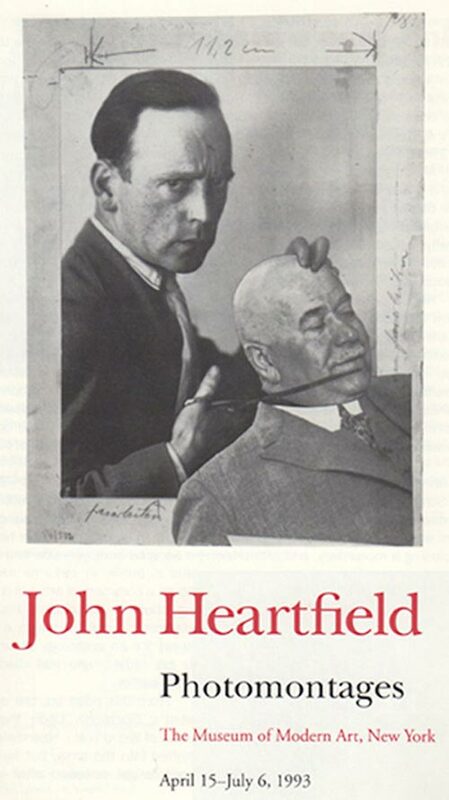 Heartfield’s originals (as well as his theatre sets, models, sketches, and personal papers) are locked away in the vast Heartfield Archiv in the German Akademie Der Künste. All this material was summarily absorbed from the East German Akademie Der Künste. I have asked the Akademie Der Künste to provide me with photographs of Heartfield’s originals so visitors and scholars could view them in detail on this website. For some reason, the Akademie Der Künste flatly refused. Please see the section “THE HIDDEN GENIUS” for details.